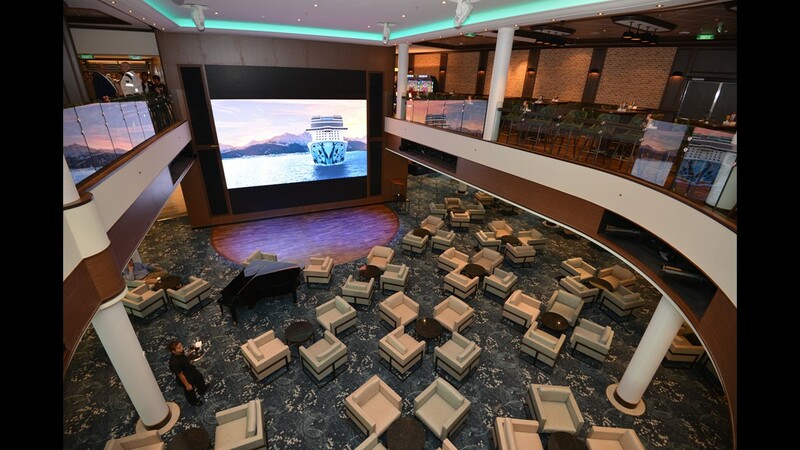 Norwegian Cruise Line's new Leonardo Class of ships will begin debuting in 2022. 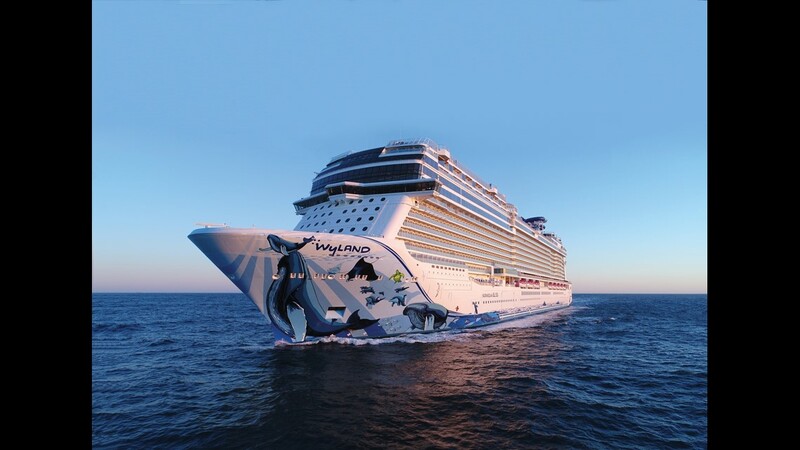 At 168,028 tons, Norwegian Bliss is the biggest ship ever for Miami-based Norwegian Cruise Line. 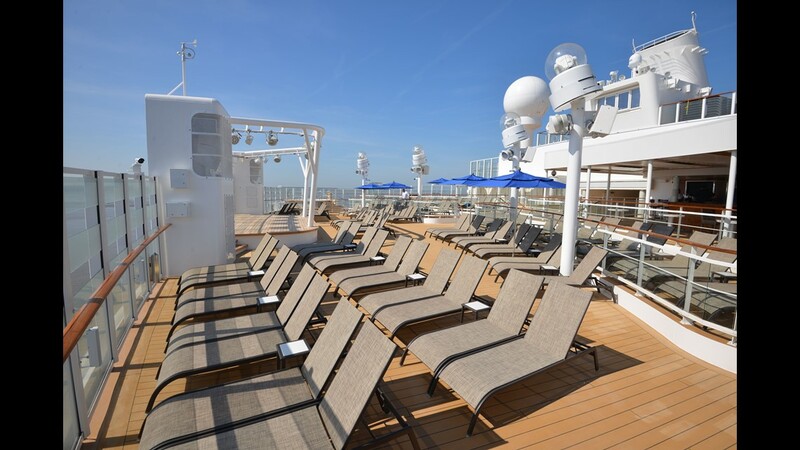 Located on Deck 16, the main pool area of Norwegian Bliss is filled with lounge chairs lined up in rows in addition to the ship's two main pools. 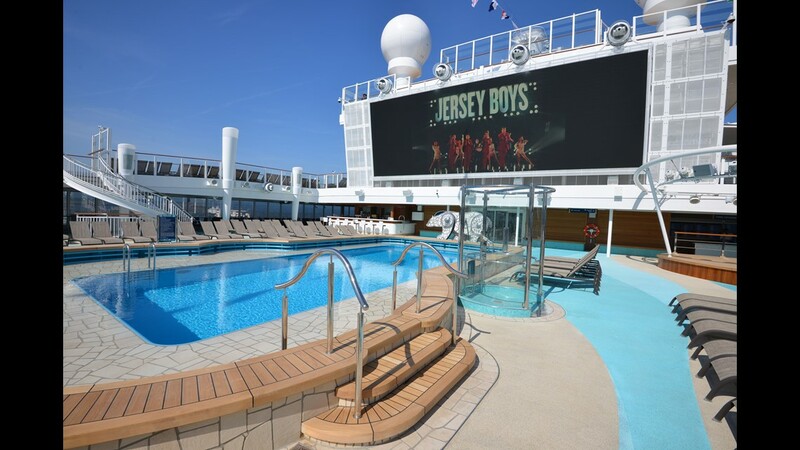 The main pool deck on Norwegian Bliss also features a large screen overlooking that offers entertainment throughout the day. 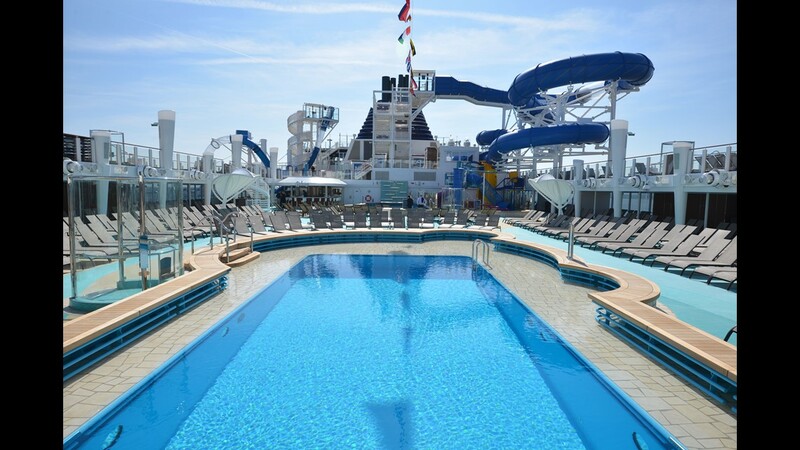 The Aqua Racer drops from Deck 20 of Norwegian Bliss to its main pool area on Deck 16. 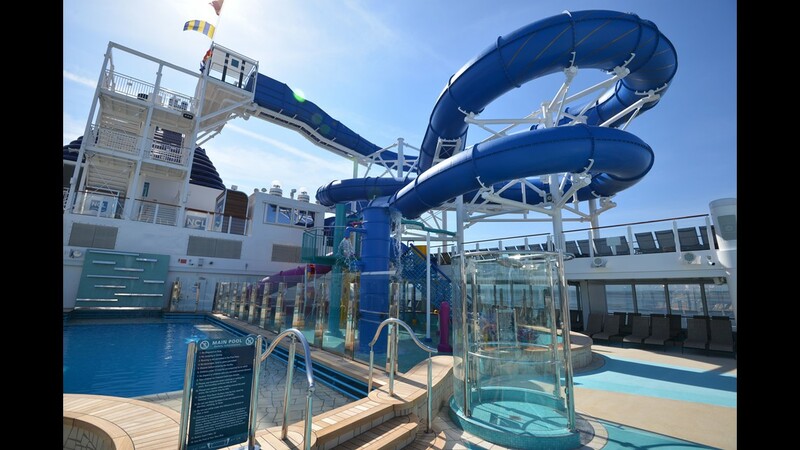 The entryway to the Aqua Racer water slide on Deck 20. 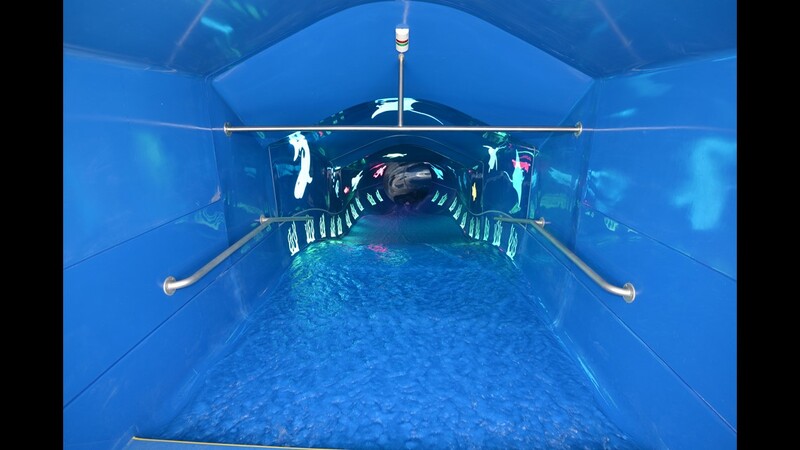 The Aqua Racer ride swirls above a watery play area for kids. 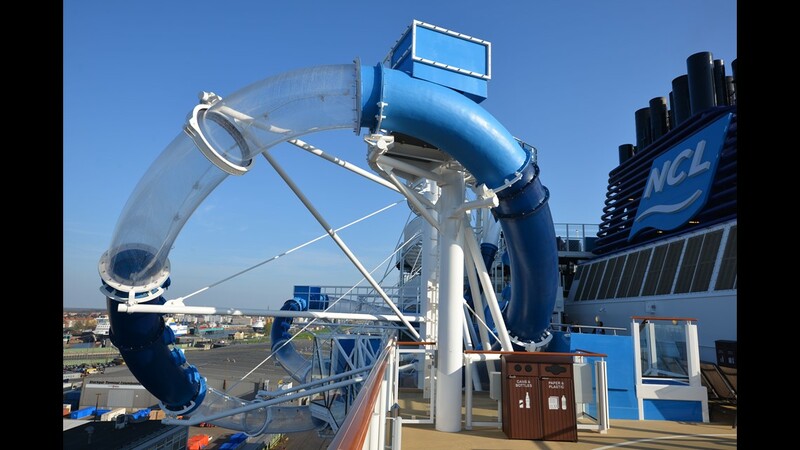 A second water slide called Ocean Loops is located on the starboard side of Norwegian Bliss just across from the Aqua Racer water slide. 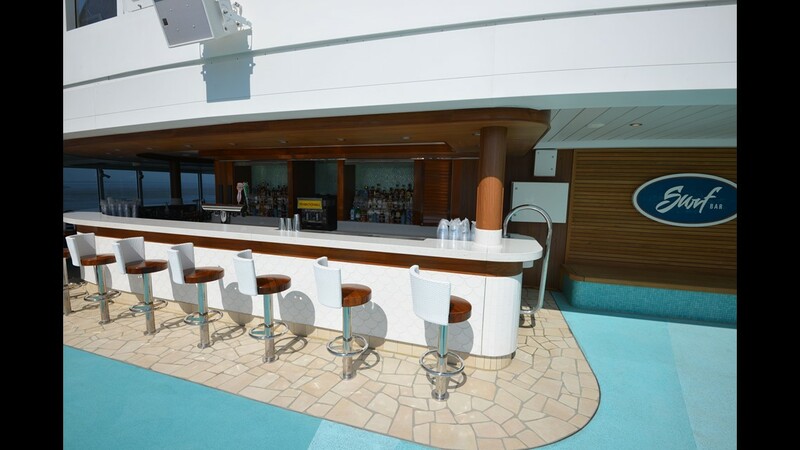 Located just steps away from one of the two pools on the main pool deck an outdoor bar called Surf. 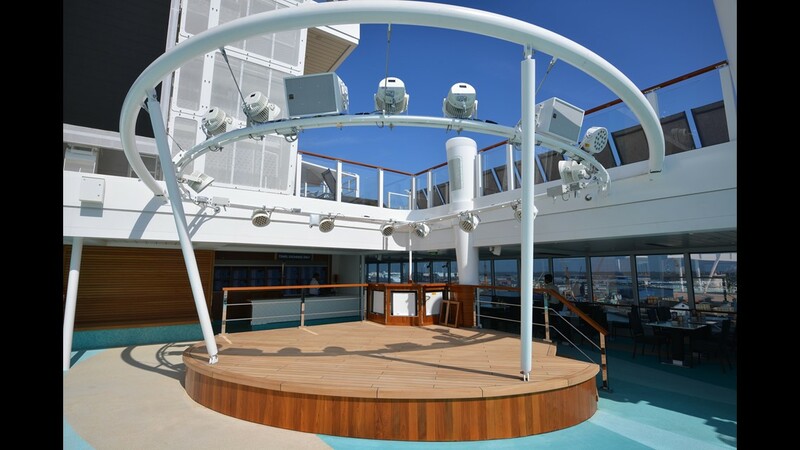 The main pool deck also has a small bandstand where musicians play during the day. 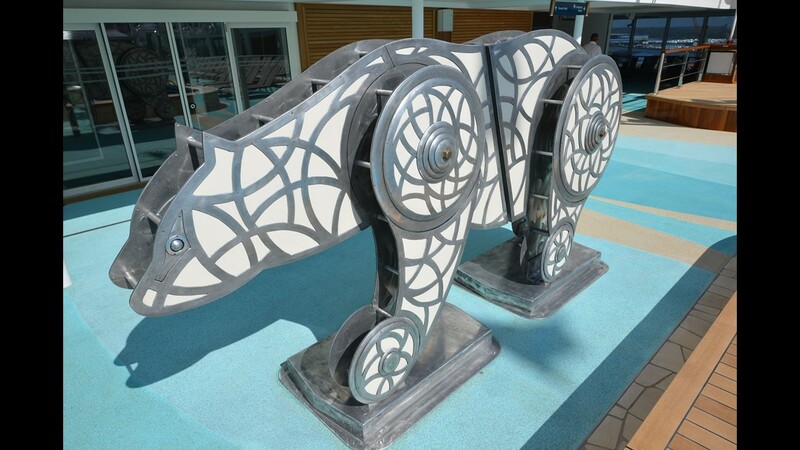 A large metallic art piece depicting a polar bear on the main pool deck of Norwegian Bliss is a nod to its summer home in Alaska. 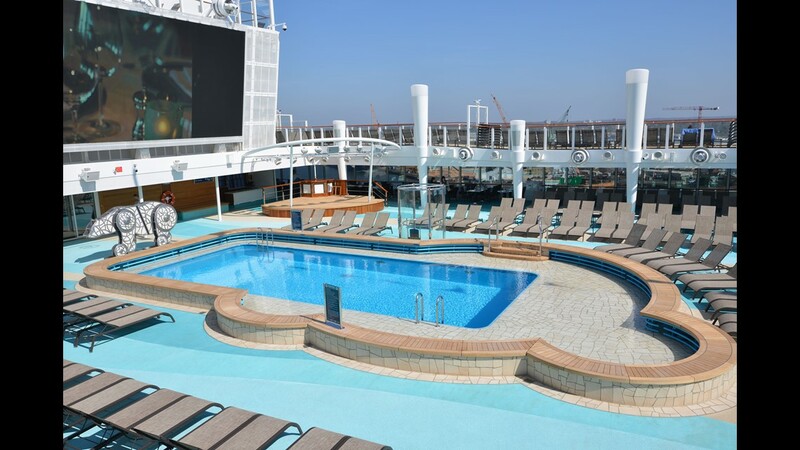 One of the two pools along the main pool deck on Norwegian Bliss. 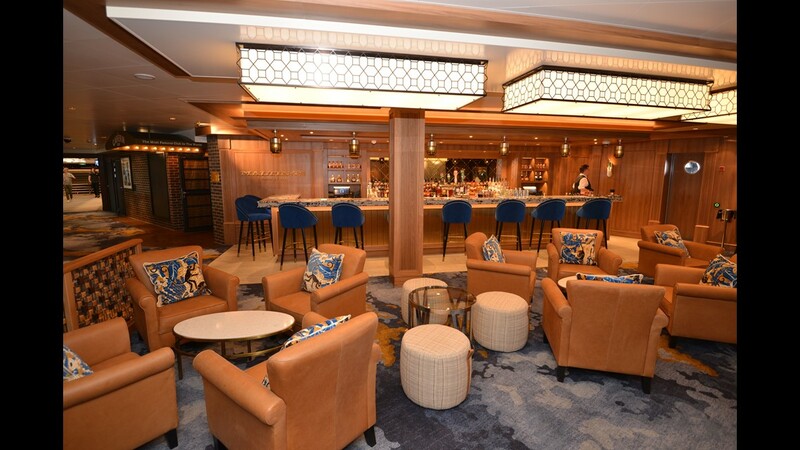 Another outdoor lounge area called Spice H2O is located at the back of Norwegian Bliss on Deck 17. 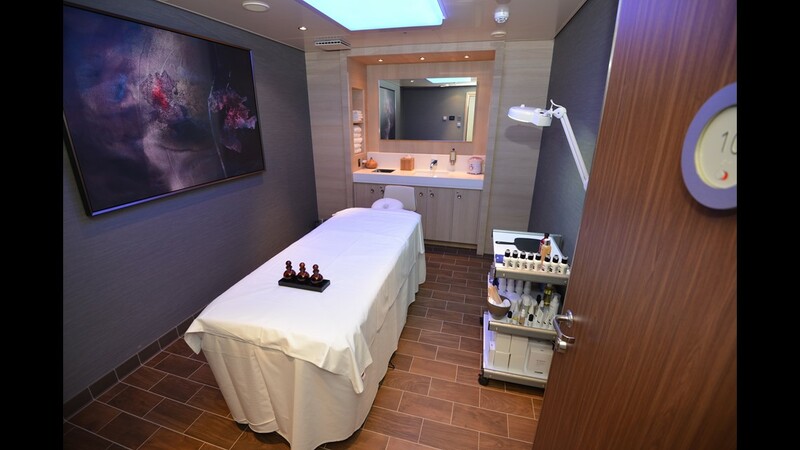 The Spice H2O area at the back of Norwegian Bliss has two large hot tubs. 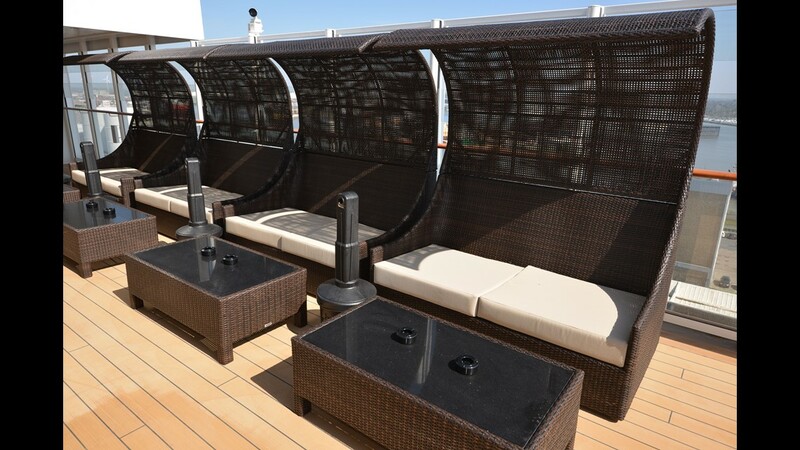 Shaded lounge chairs for two also can be found at the Spice H2O area at the back of Norwegian Bliss. 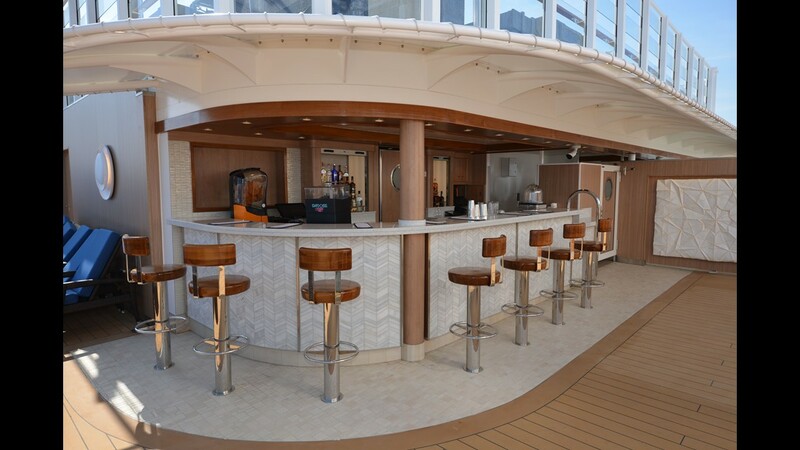 A covered bar area also is part of Spice H2O. 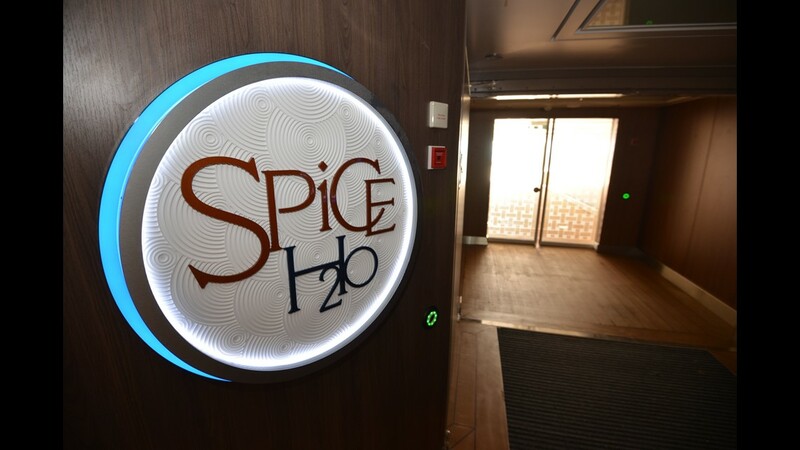 At night, Spice H2O transforms into a nightspot. 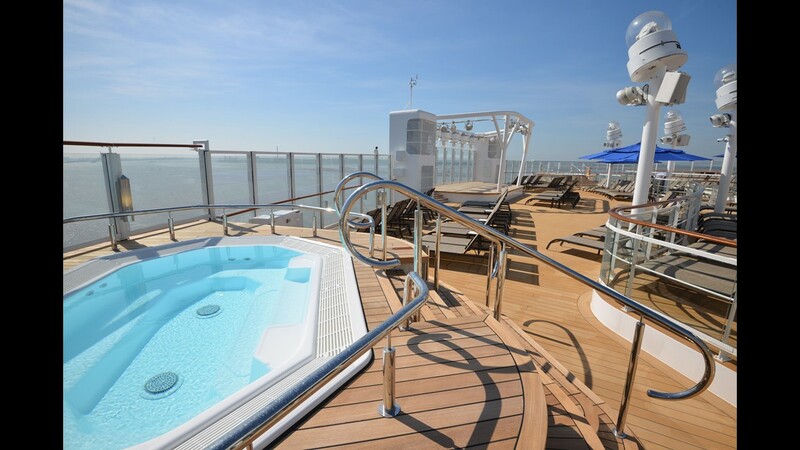 More lounge chairs and a hot tub are located toward the front of Norwegian Bliss on Deck 19. 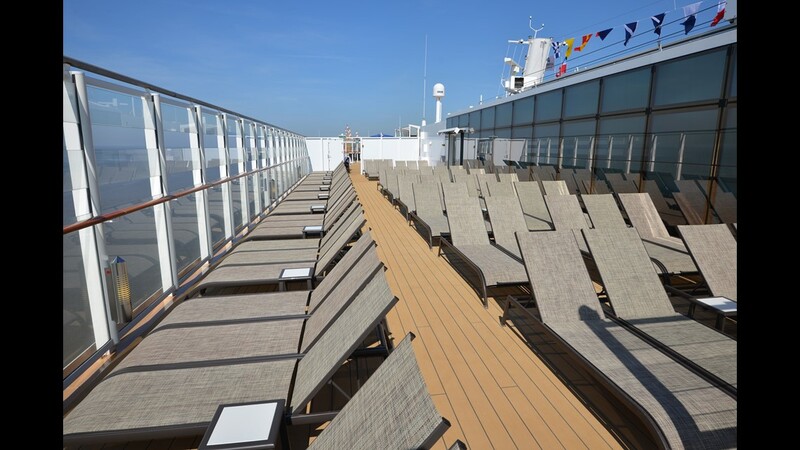 A walk forward on the port side of Deck 19 brings passengers to another small area with lounge chairs. 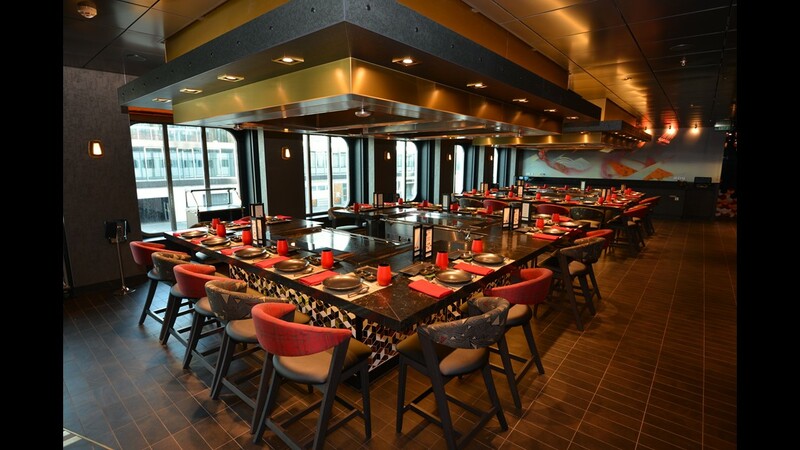 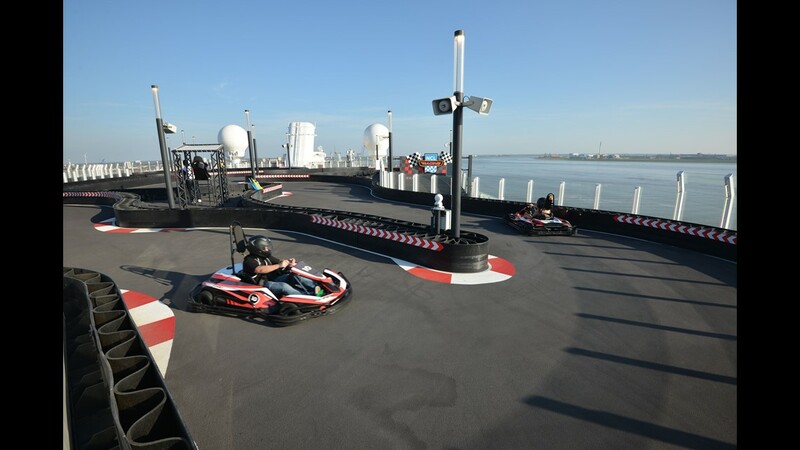 Norwegian Bliss is the first cruise ship catering to the North American market to have a racing course on its top deck. . 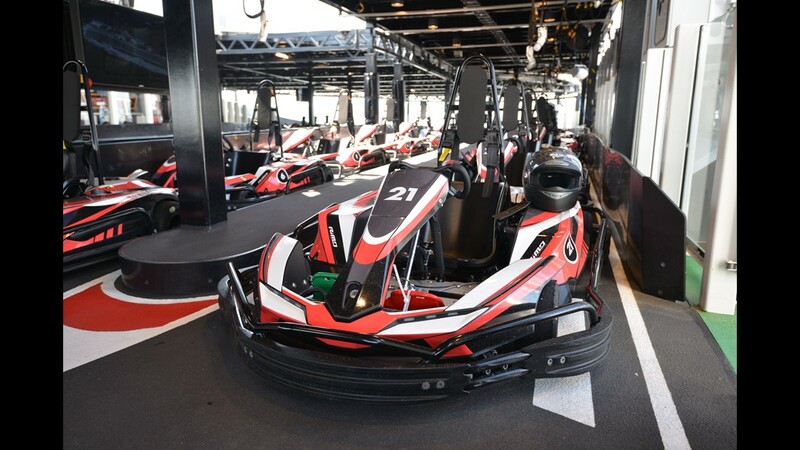 The race track on Norwegian Bliss spreads over two levels and features electric go-carts. 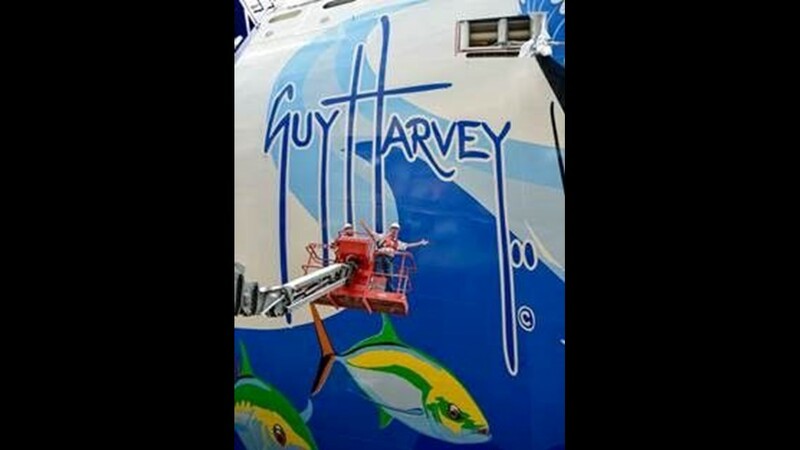 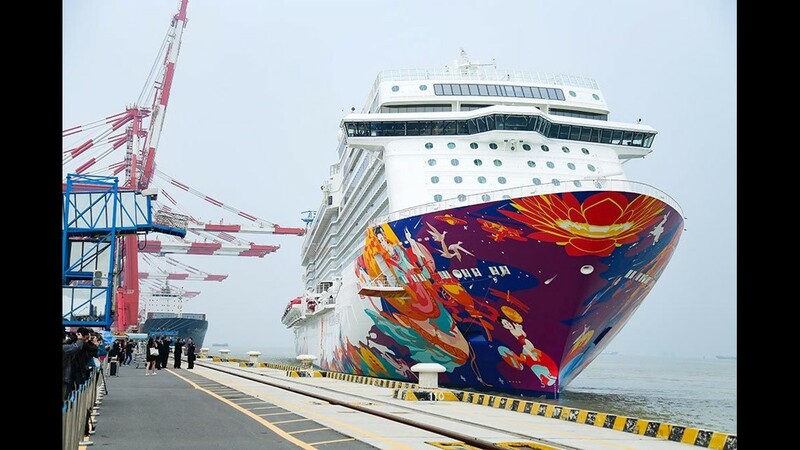 The only other cruise ship with a race course on its top deck is Norwegian Joy, a sister ship to Norwegian Bliss that's dedicated to the Chinese market. 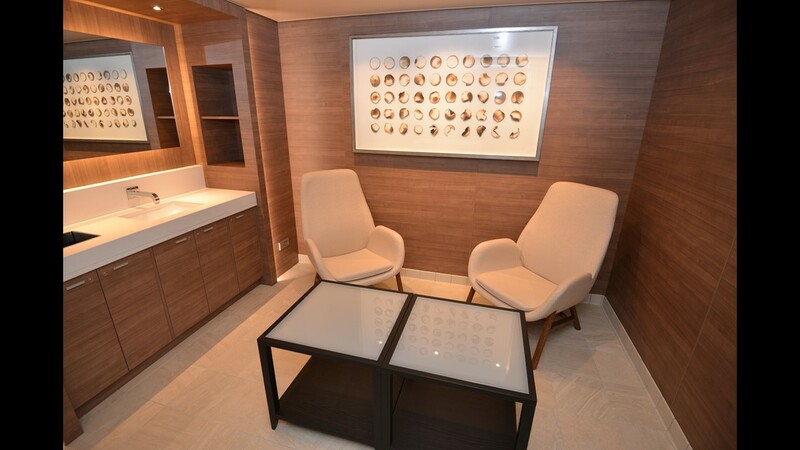 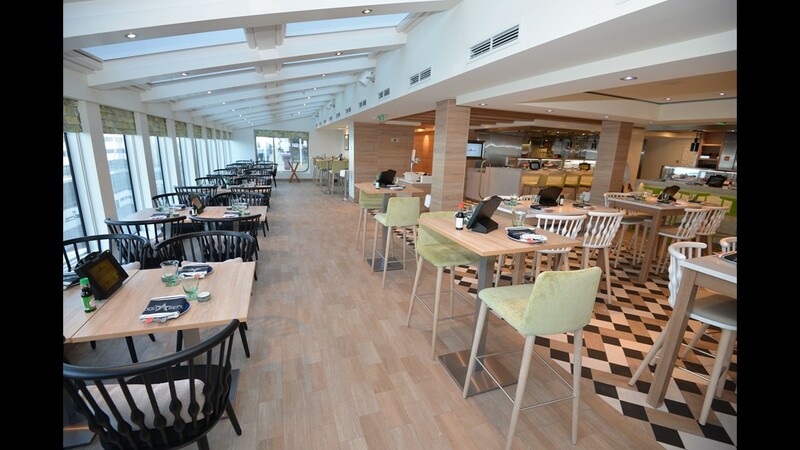 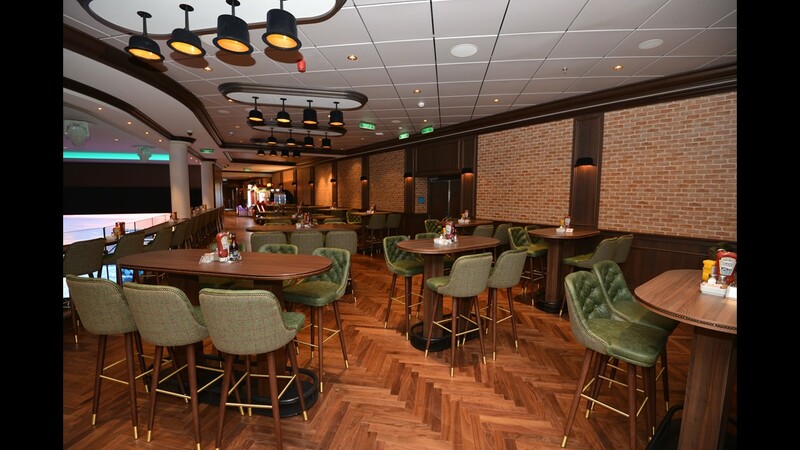 A private outdoor lounge area for passengers staying in Norwegian Bliss's Haven suites is located near the front of the ship on Deck 19. 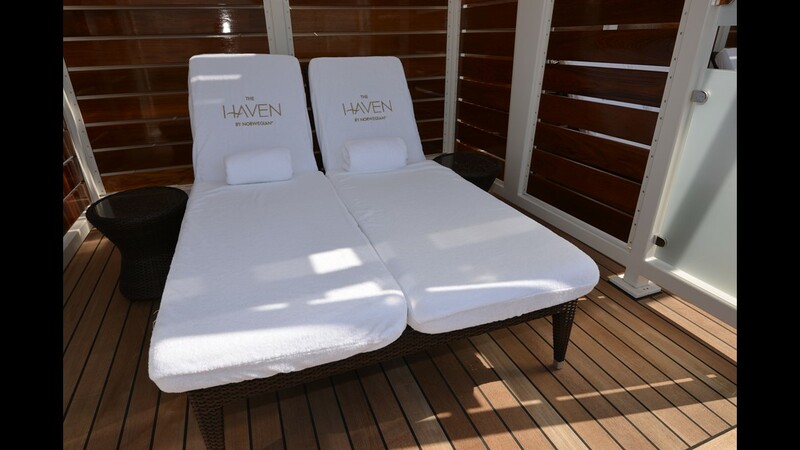 Dubbed The Haven Courtyard Sun Deck, the private lounge area for passengers staying in Haven suites features private nooks with loungers. 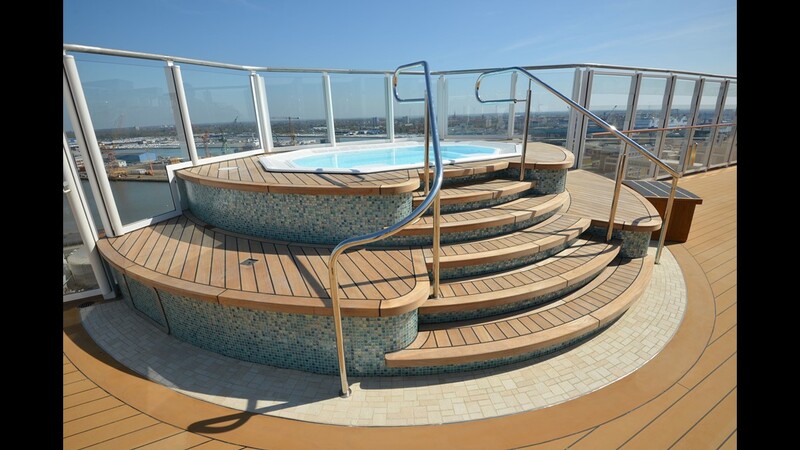 The Haven Courtyard sun deck also has its own private hot tub. 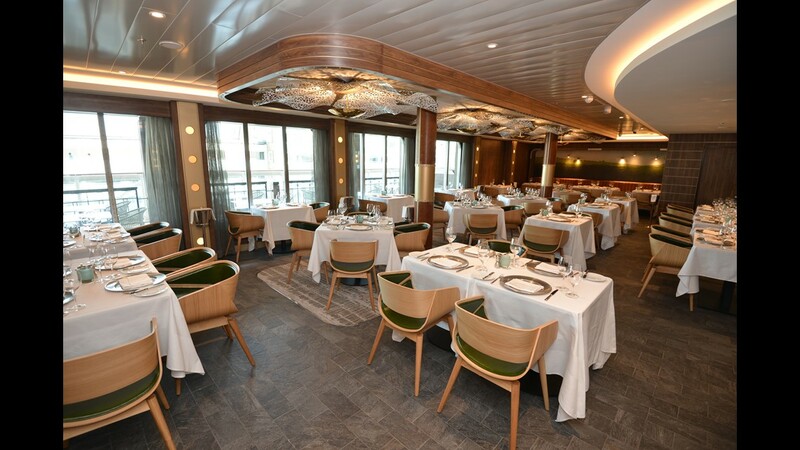 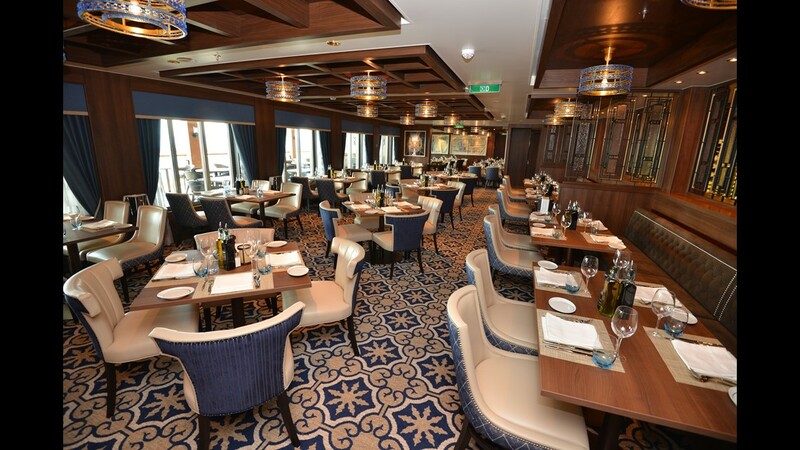 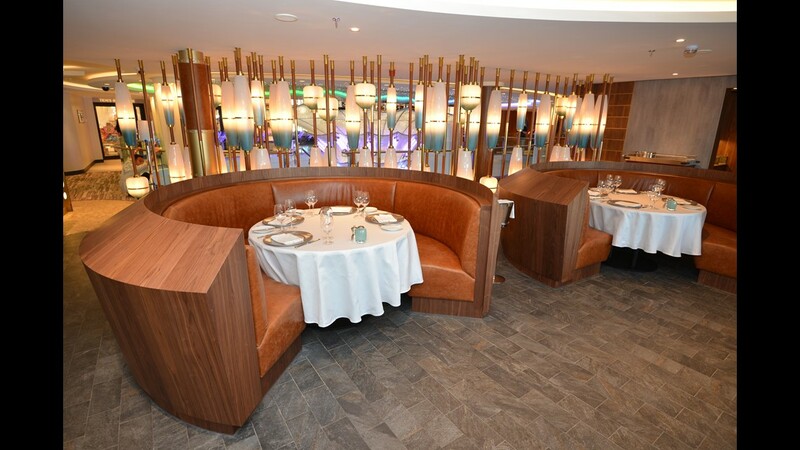 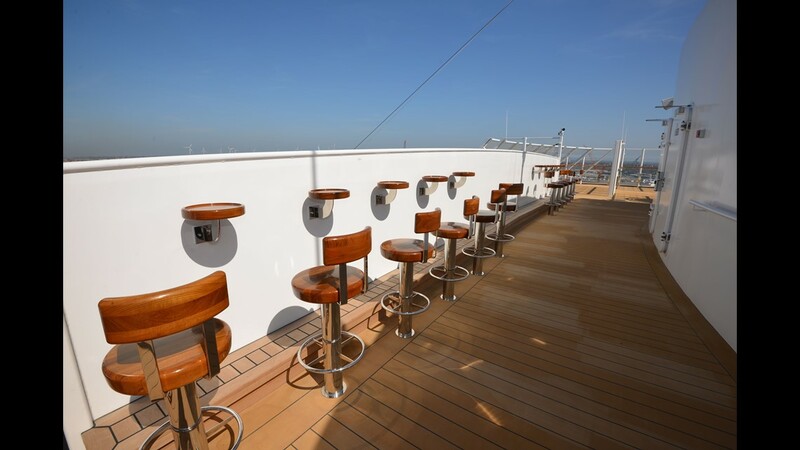 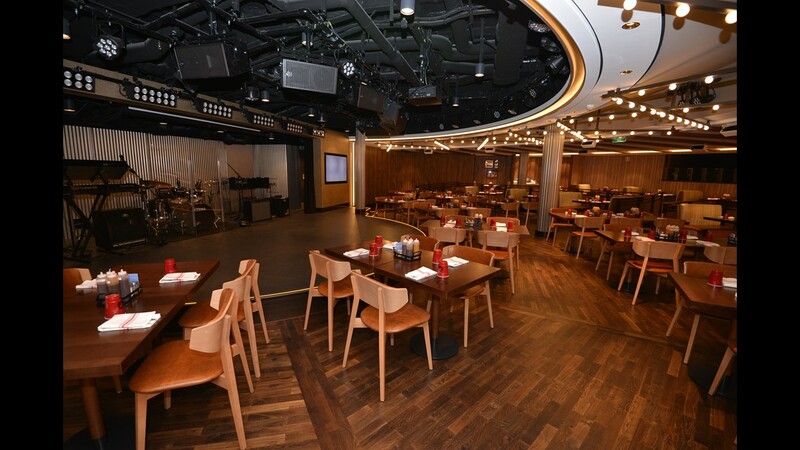 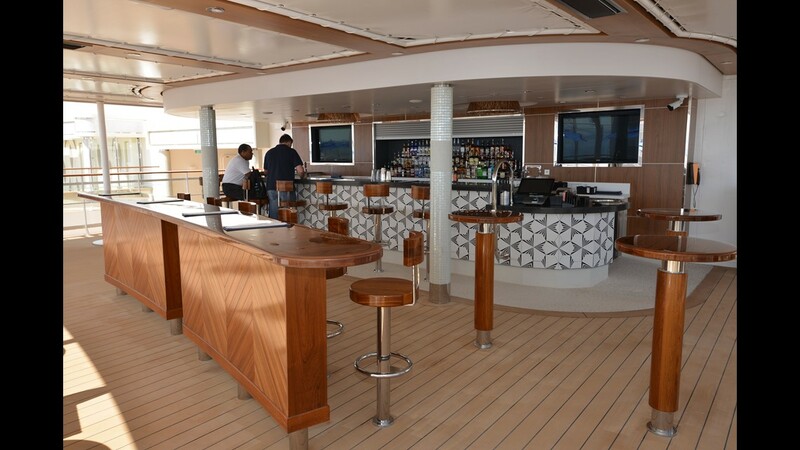 At the very front of Deck 19 within the private Haven lounge area is a row of built-in teak stools overlooking the bow of the ship. 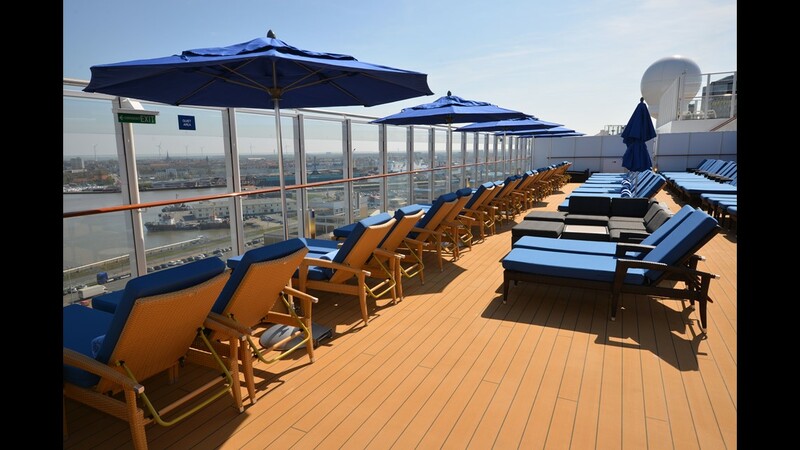 Another private sunning area at the top of Norwegian Bliss is the Vibe Beach Club. 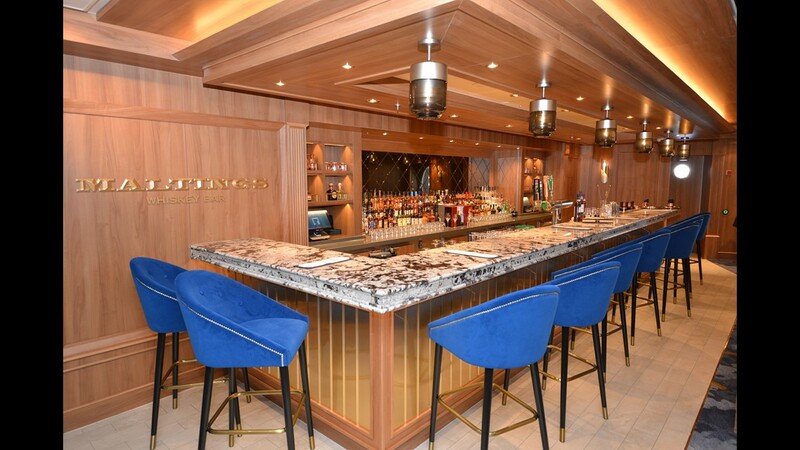 The Vibe Beach Club has its own private bar. 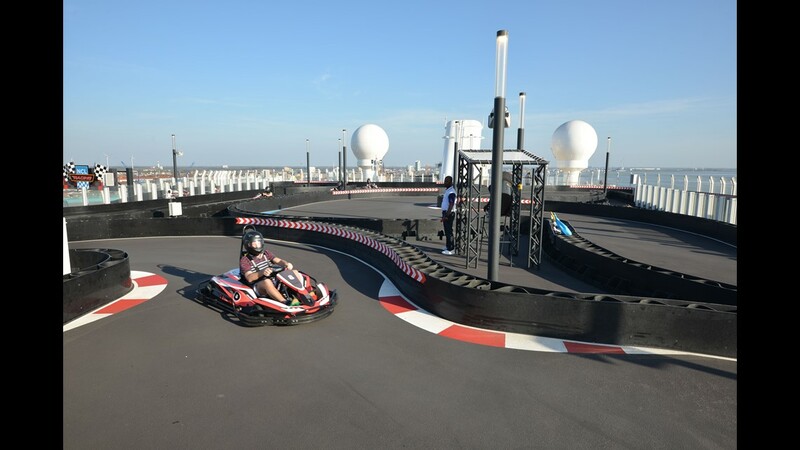 The top deck of Norwegian Bliss also is home to a Laser Tag course that opens in the evenings. 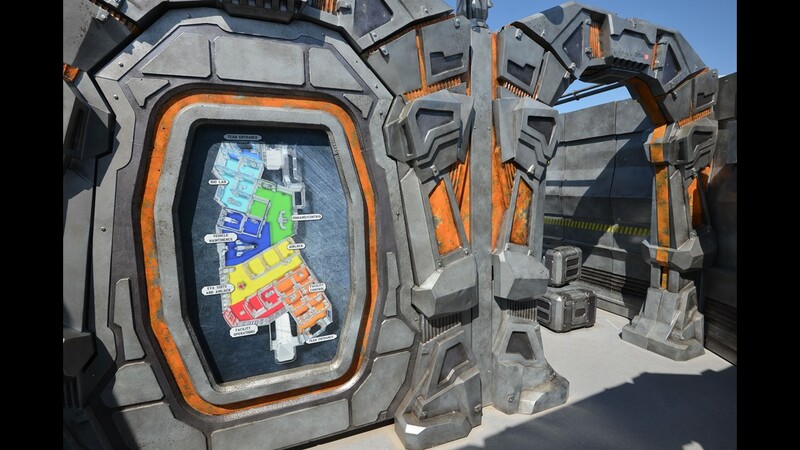 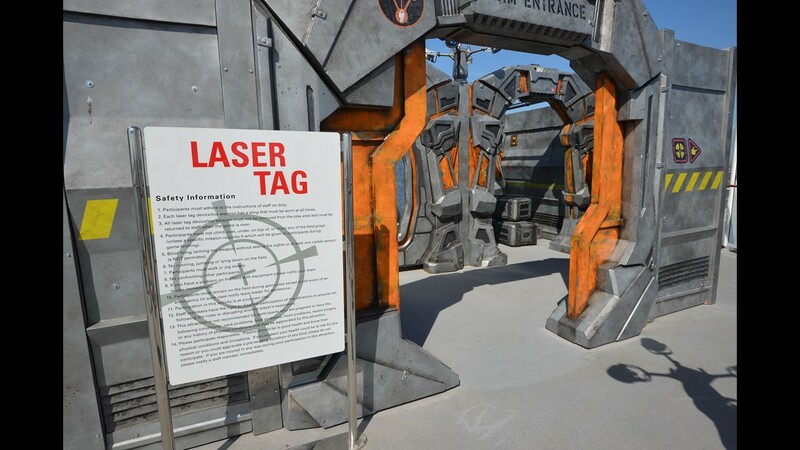 Located near front of the ship on Deck 20, the laser tag course is open to the sky. 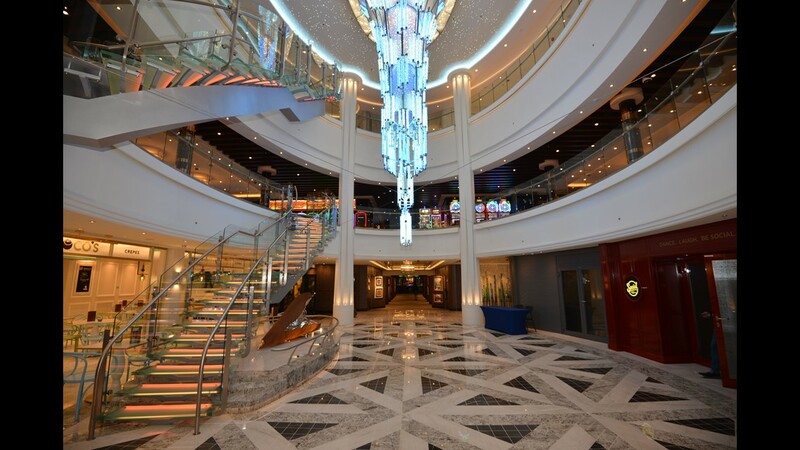 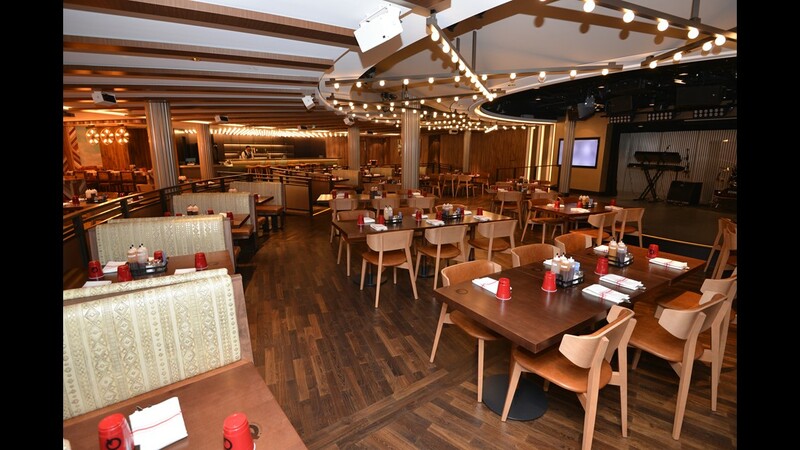 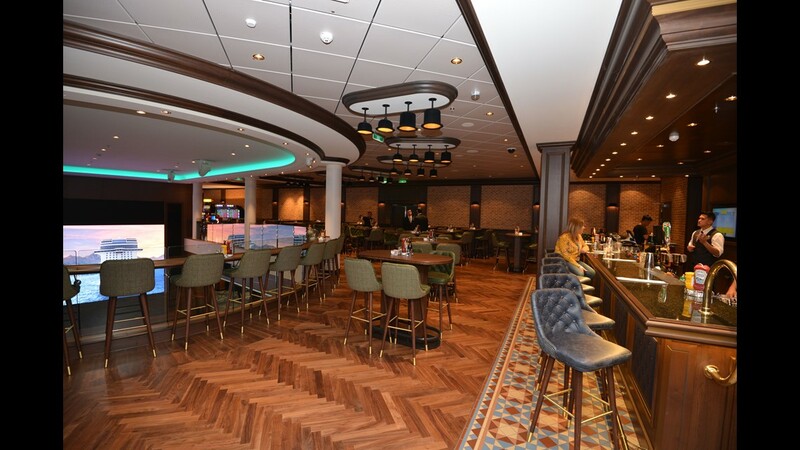 The interior of Norwegian Bliss features three decks of restaurants, bars and showrooms that are connected by a soaring oval space with stairways. 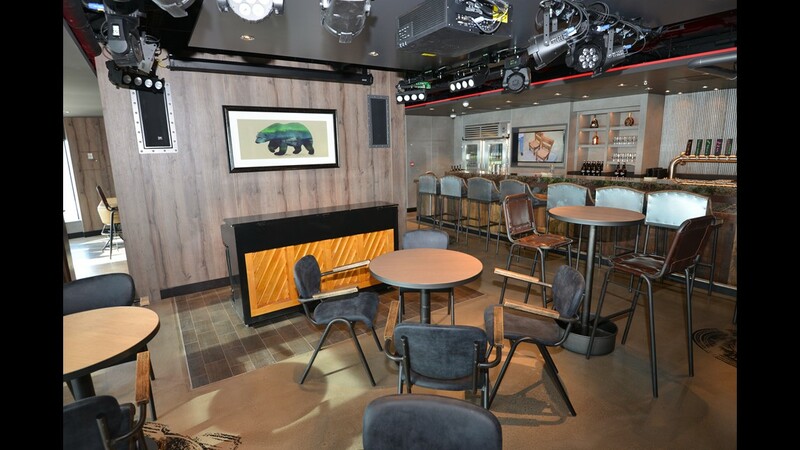 The Local Bar & Grill features a cozy bar along one wall. 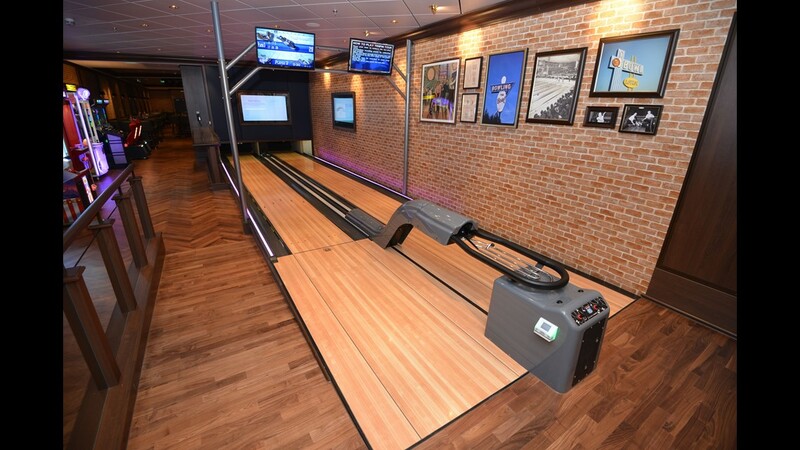 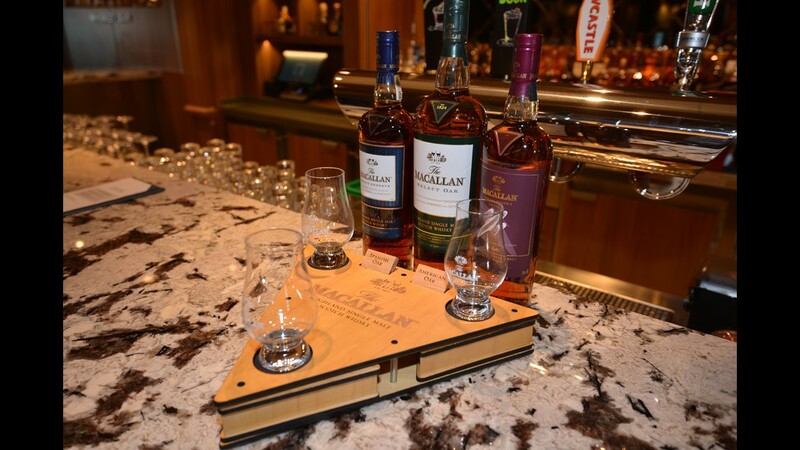 Like many of Norwegian Cruise Line's recently built ships, Norwegian Bliss has a miniature bowling alley located just off The Local bar. 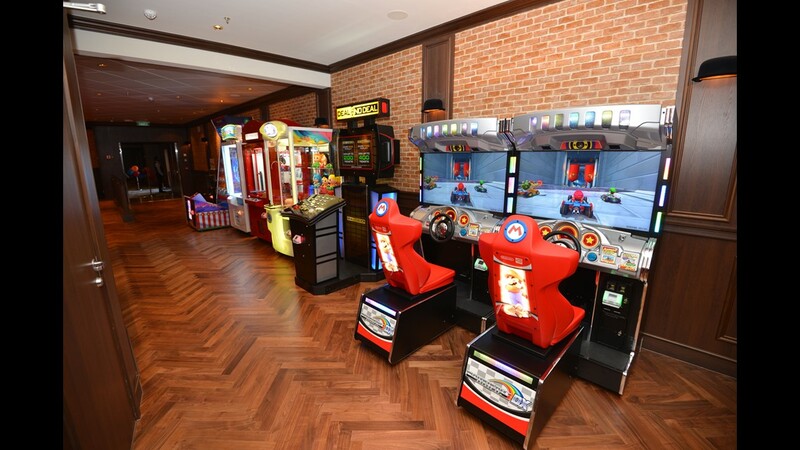 Racing games and other amusements line a wall near the bowling alley. 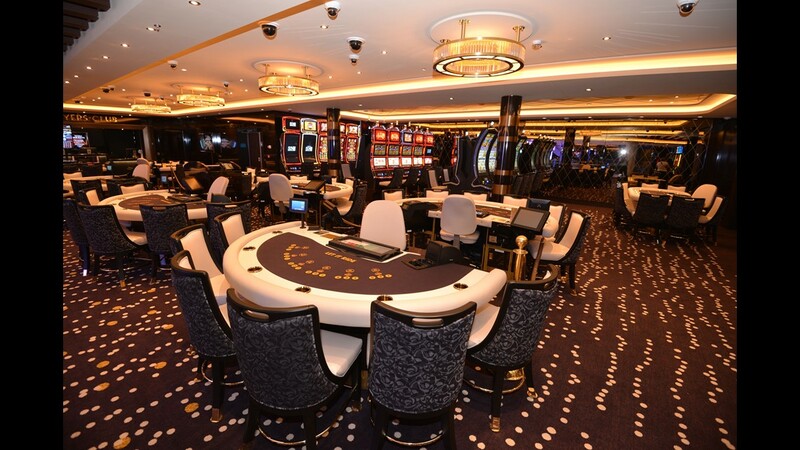 Norwegian Bliss is home to one of the largest casinos at sea, filled with table games and dozens of slot machines. 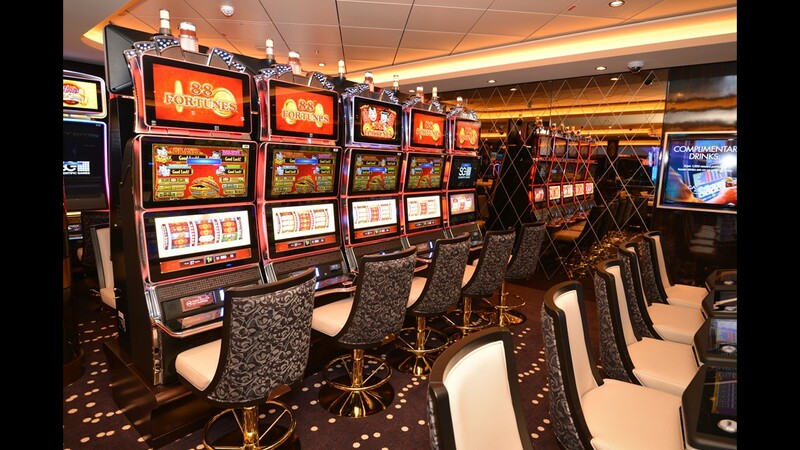 Sprawling across Deck 7, the casino on Deck 7 offers a large number of slot machines. 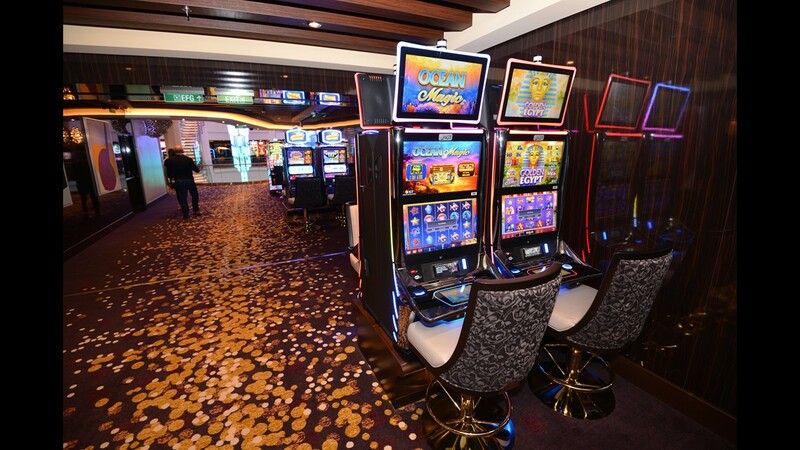 More slot machines line the hallways of Deck 7. 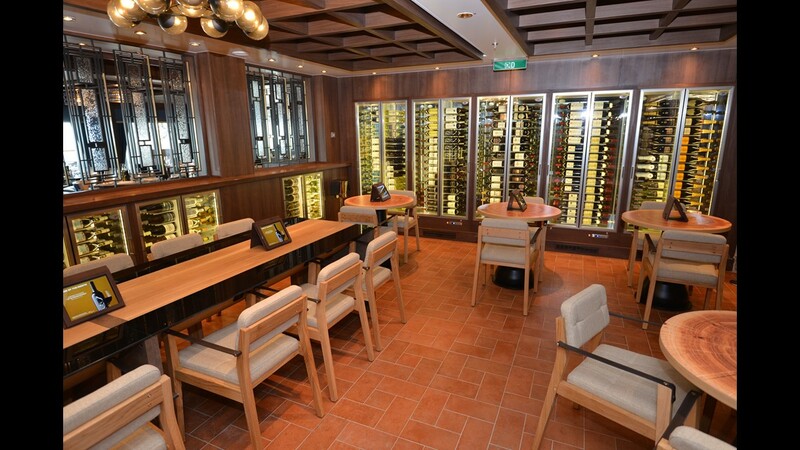 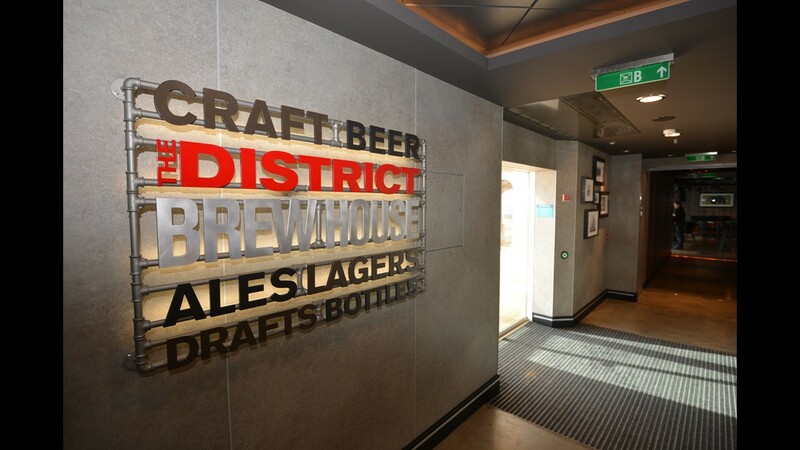 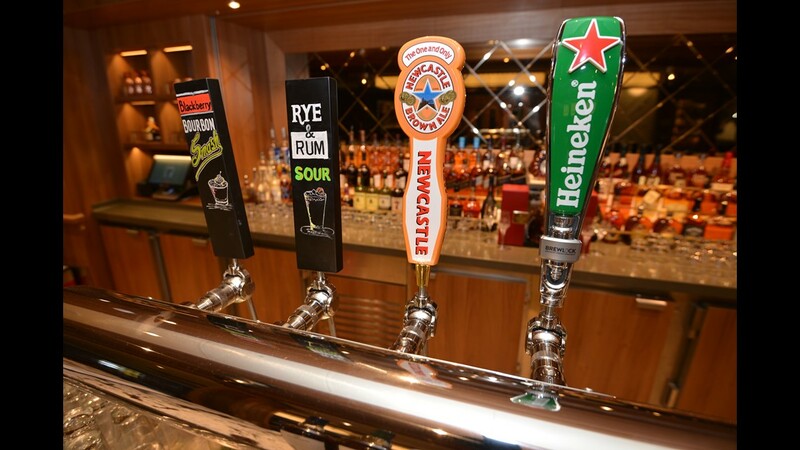 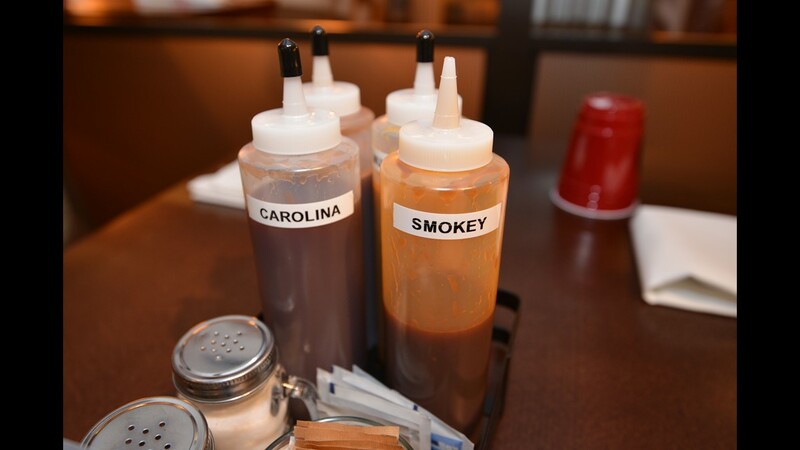 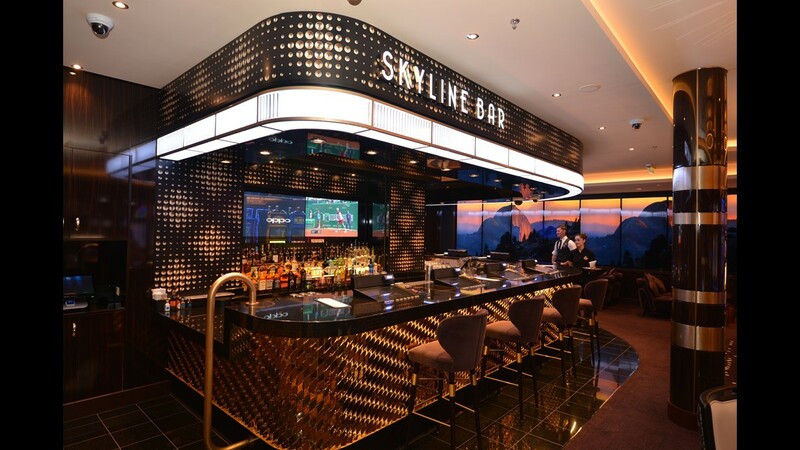 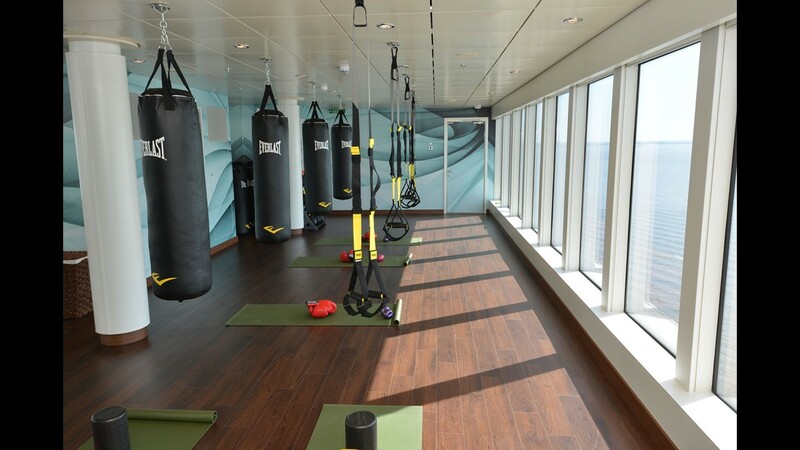 Located on Deck 7, the Skyline Bar is tied into the Bliss Casino complex. 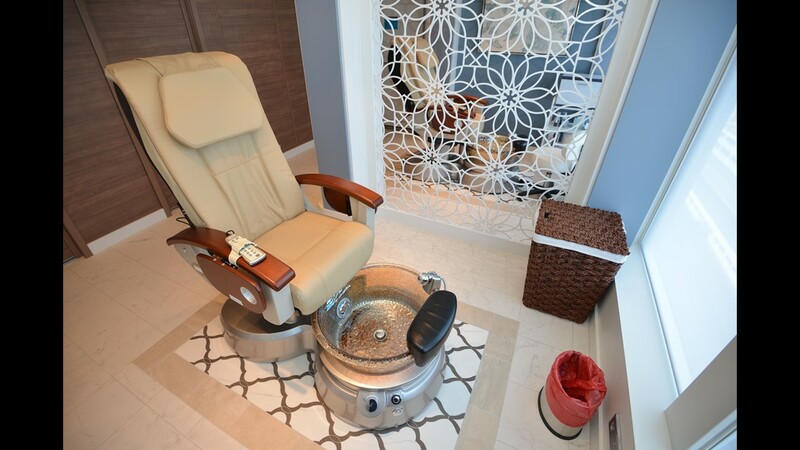 A pedicure station in the Mandara Spa. 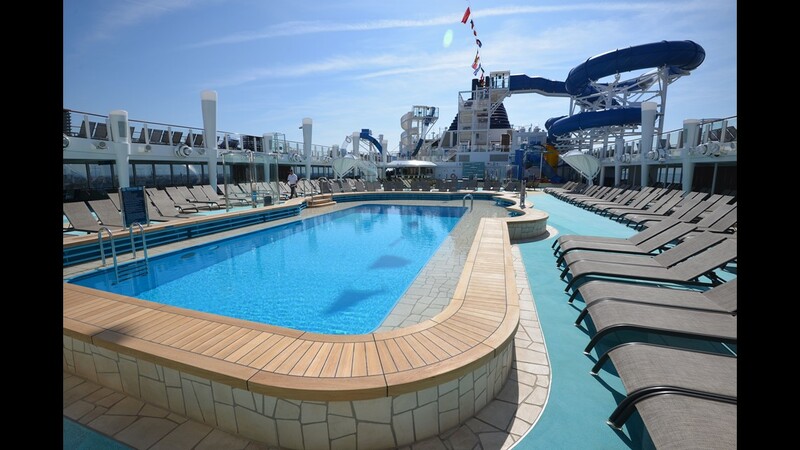 Make that seven ships on order for Norwegian Cruise Line. 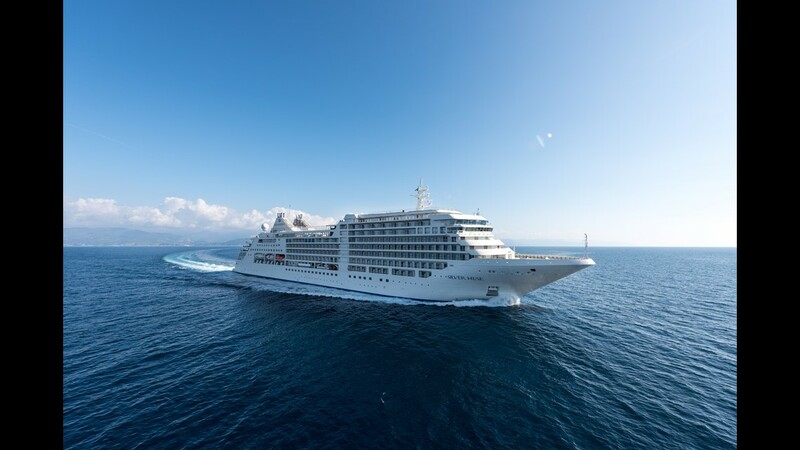 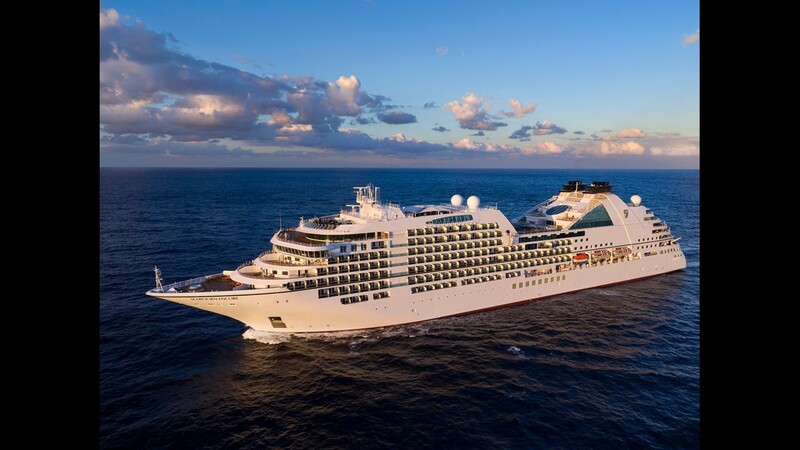 The parent company of the Miami-based cruise operator on Thursday announced it had ordered two more Leonardo Class vessels to arrive in 2026 and 2027. 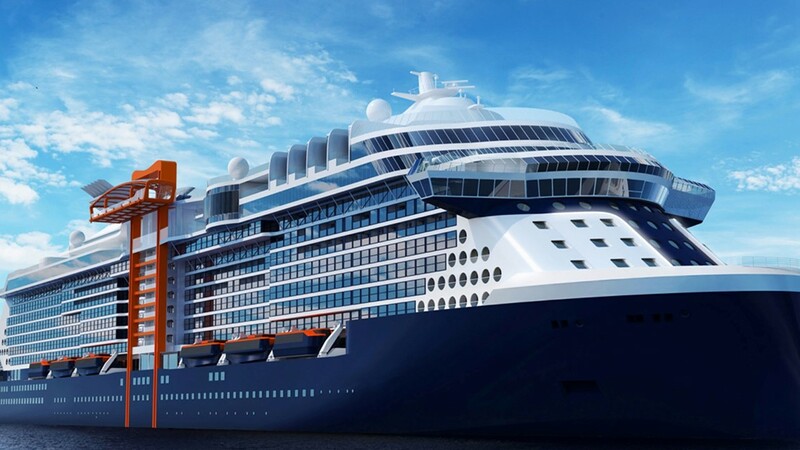 Norwegian already has four of the ships on order for delivery between 2022 and 2025. 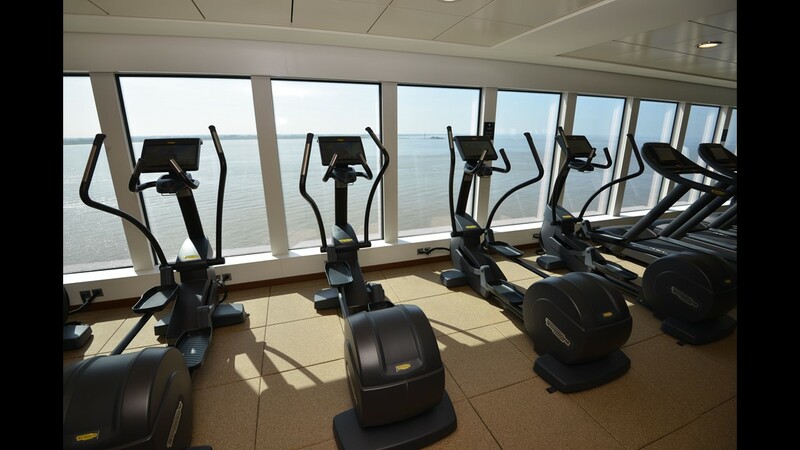 The newly ordered vessels will be the fifth and sixth in the series. 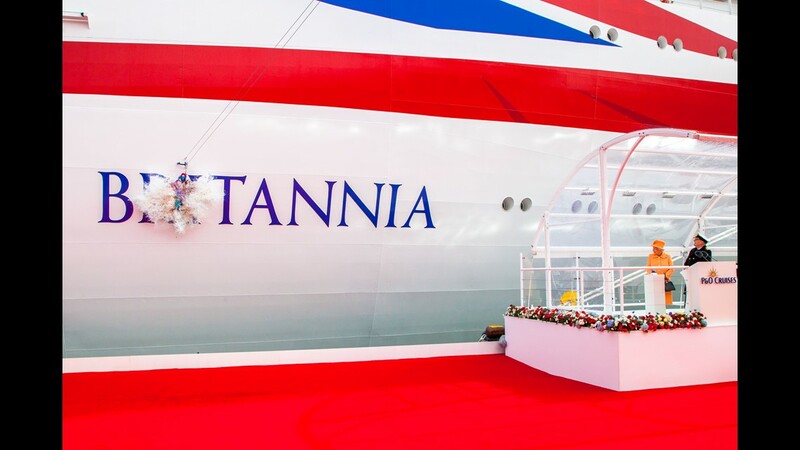 Norwegian first unveiled plans for the Leonardo Class in 2017. 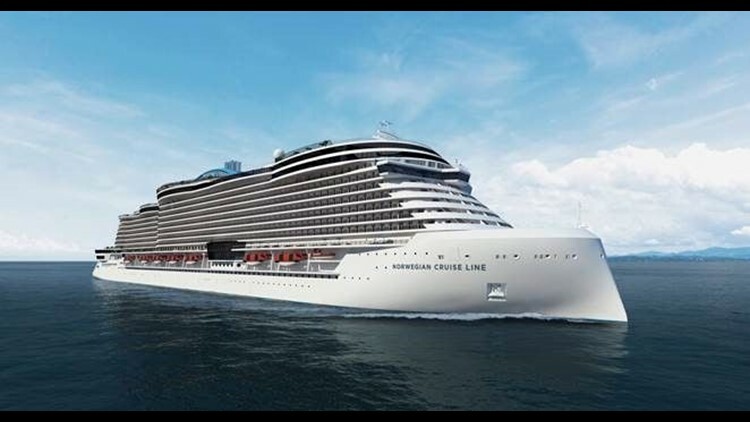 Measuring 140,000 tons, the ships will be smaller than those in Norwegian's latest class of new vessels. 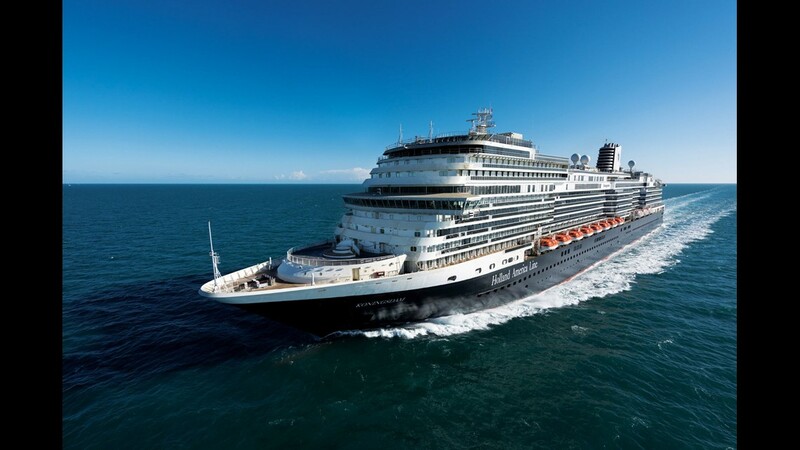 The line is in the midst of rolling out four "Breakaway-Plus" ships that measure between 165,000 and 168,000 tons. 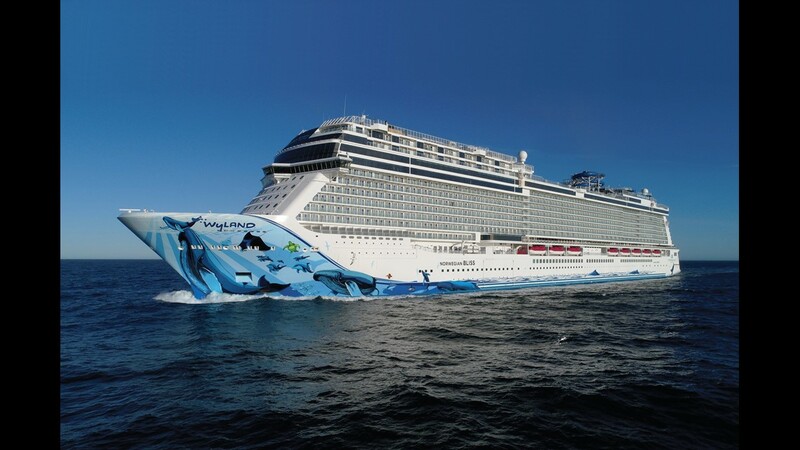 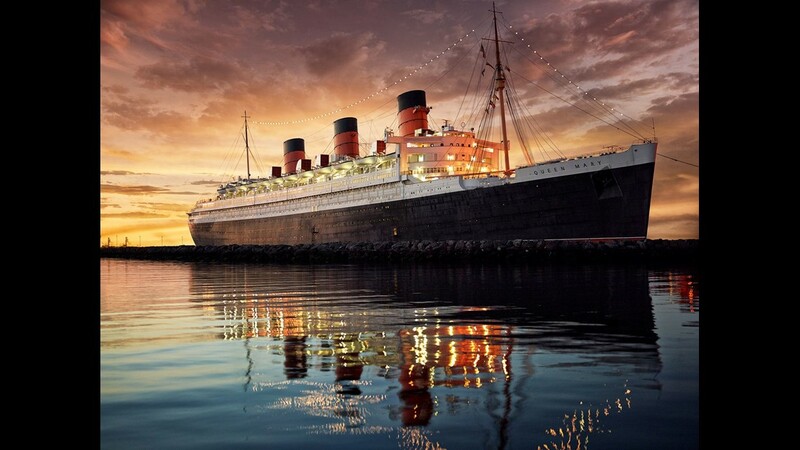 They include the recently unveiled Norwegian Bliss, currently the world's ninth largest cruise vessel. 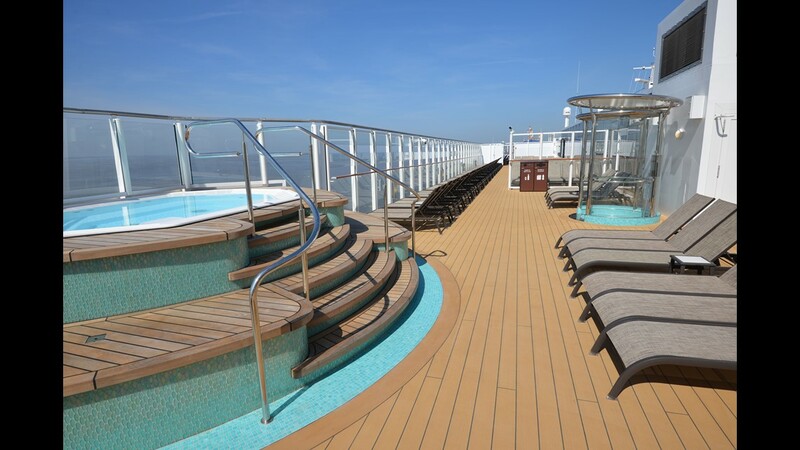 Three Breakaway Plus ships already have debuted since 2015 with a fourth in the series, Norwegian Encore, due in late 2019. 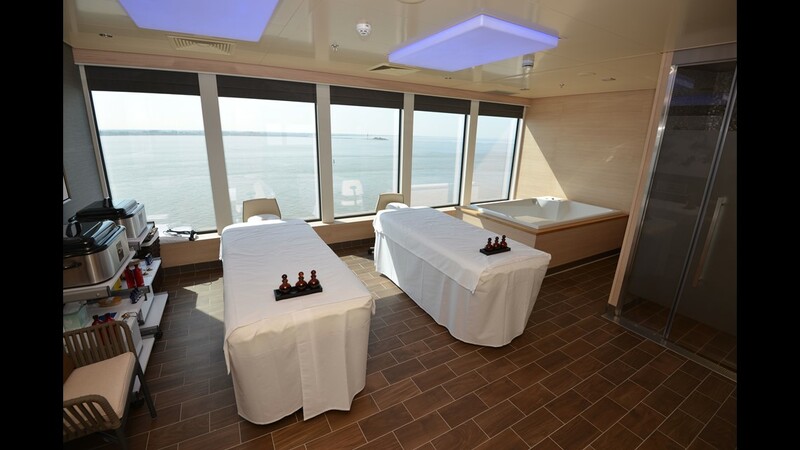 The new Leonardo Class vessels will hold about 3,300 passengers. 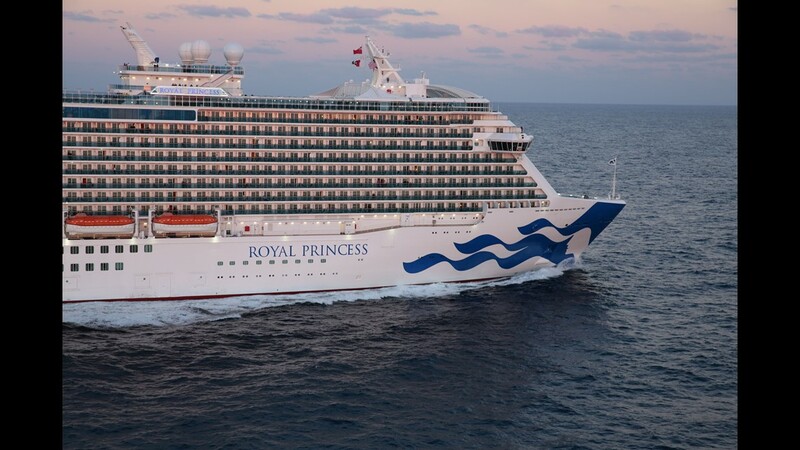 That's around 1,000 fewer than the Breakaway Plus ships. 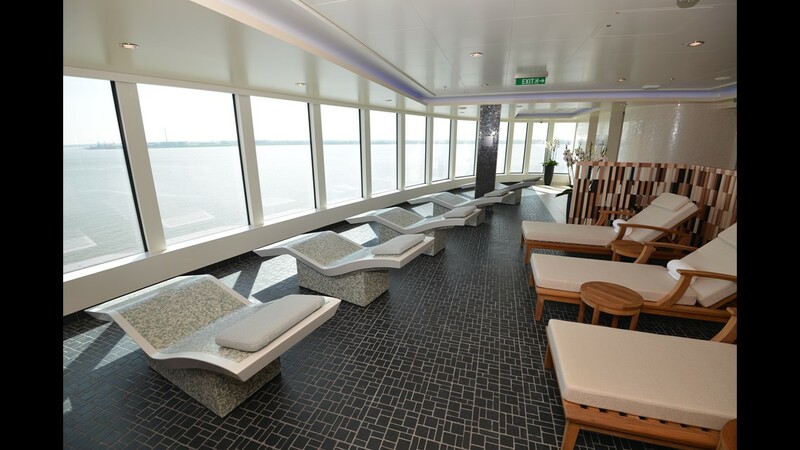 Norwegian hasn't revealed details of the design of the Leonardo Class vessels but promises innovation. 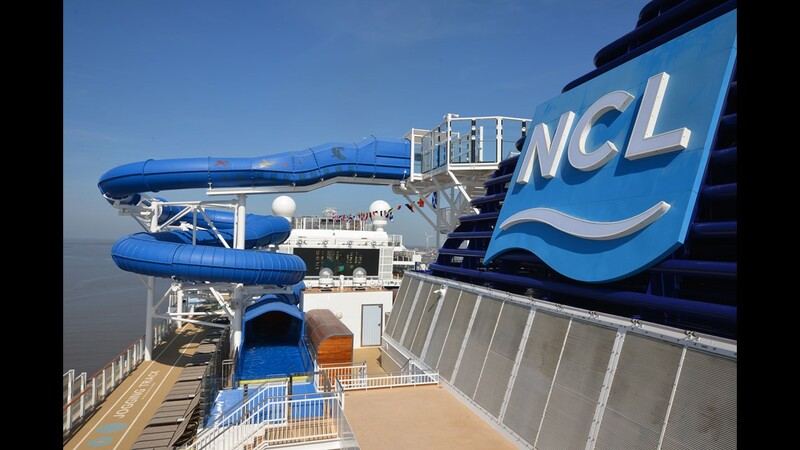 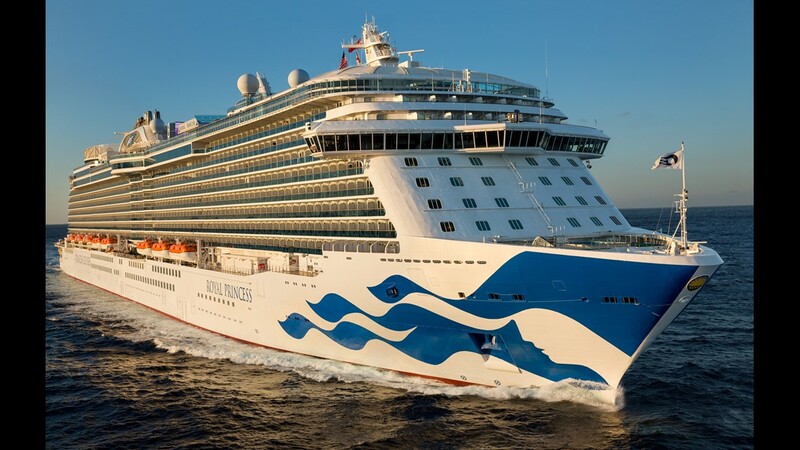 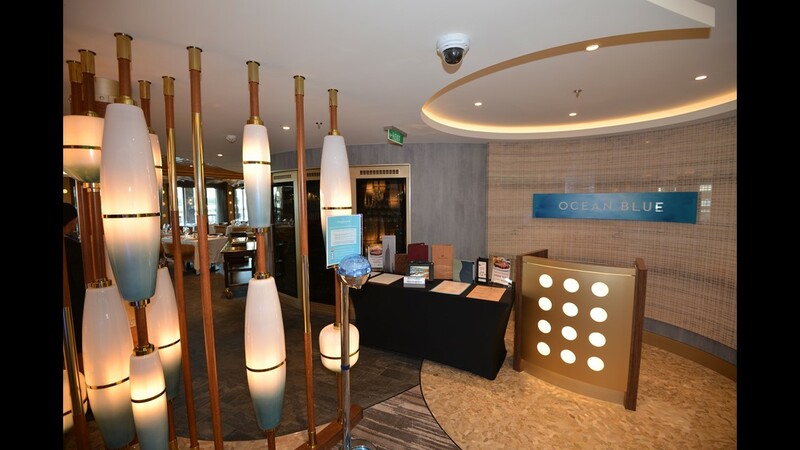 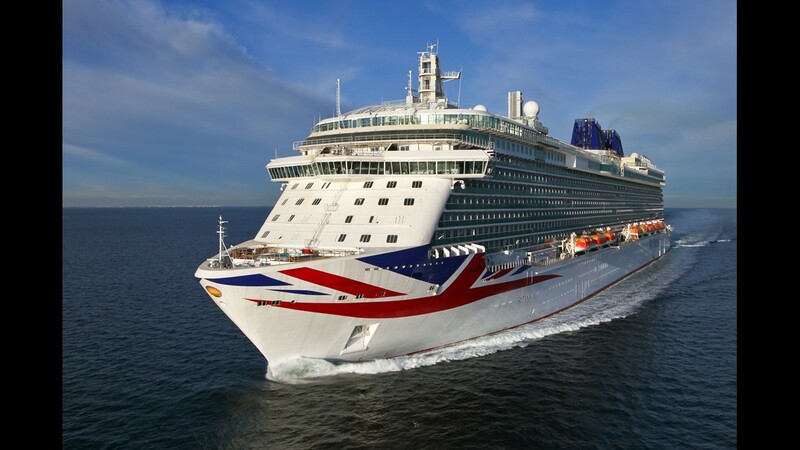 “These orders extend our disciplined and measured new-build program and strong growth trajectory well into the future and will further drive long-term returns for our shareholders,” Norwegian Cruise Line Holdings president and CEO Frank Del Rio said Thursday in a statement. 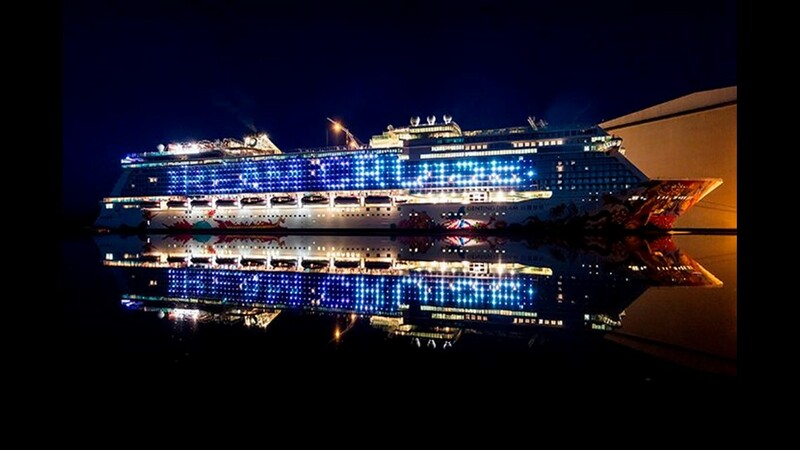 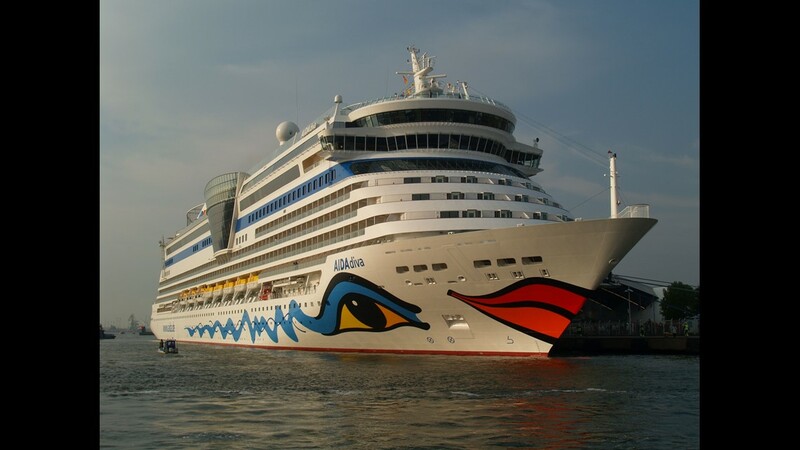 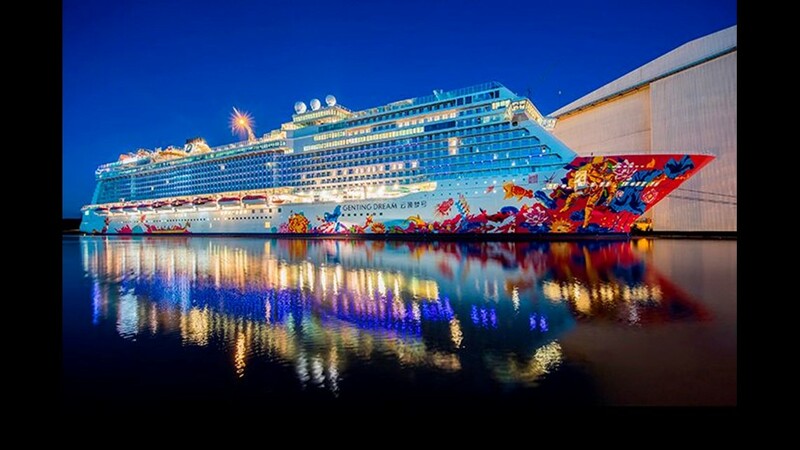 Norwegian Cruise Line Holdings (NCLH) is the parent company of Norwegian Cruise Line.